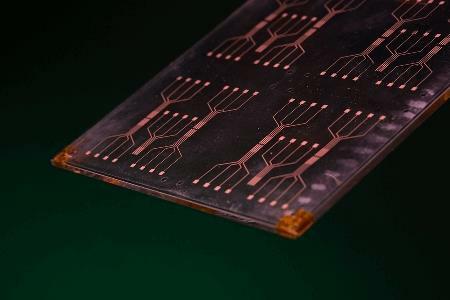 Imagine creating a material for the digital information highway that allows a fast lane of laser light that zips data past the traditional silicon chips. A multi-institutional team of researchers, led by University of Arkansas engineering professor Shui-Qing “Fisher” Yu and an Arkansas semiconductor equipment manufacturer, have made significant improvements to a new kind of laser, a semiconducting device that is injected with light, similar to an injection of electrical current. This “optically pumped” laser, which is made of germanium tin grown on silicon substrates, could lead to faster micro-processing speed at much lower cost.